Shoot for the Stars Through the Cloud. Enjoy security, financial freedom, and endless potential through cutting-edge accounting. 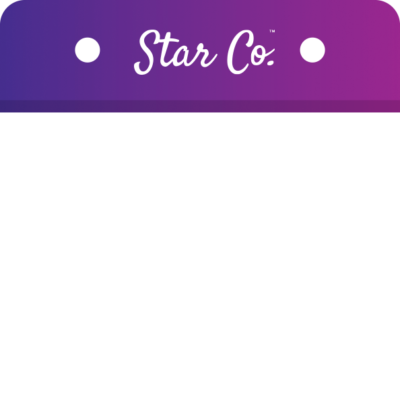 Star Co. is the business partner you have been looking for. We’re ready to watch your business soar…are you? As the Executive Director of Arts Etobicoke, Menon has a tremendous amount of responsibility working to engage the Toronto area arts community. Balancing the books shouldn’t be a concern. We love supporting clients like Menon because we value their contribution to our communities and want to give them as much time as we can to do what they do best. Mary has been hard at work with the rapid growth of her management coaching business. Having a finance background herself, finding the right fit was essential. Mary invited us into her home so that she could share her experiences working with us. It is the skill and dedication you bring to your business that has gotten you this far. It is the experience and vision of our people that will drive your business through to the prosperous future you deserve. Look like we may be a great fit for the next phase of your development? We would love to hear from you. software companies, we are able to do more for you than ever before. with the utmost reliability and flexibility to suit your needs. business development? We would love to hear from you. All of our support services are customizable to fit each individual business however you can see below for examples of some of our most popular packages. We can set up and maintain your payroll with direct deposit, automated ROE’s and T4’s included. Program fee is based on payroll frequency and number of employees. From customized KPI reporting to long term cash flow projections, we can build and deliver reports that are going to make a difference in your organization. From good to great, or great to greatest, we’ll help to get you where you need to be. We make it as streamlined and simple for you as possible. Book a free in-person or online consultation at a time that works for you and we’ll give you all of the information needed to get started and on your way to the bright future you envision for your business and your life. Download your FREE tip sheet to improve your accounting process. Sign up for our newsletter "The Orbit" and join many other happy subscribers!